Written by Darin Colucci. Edited by Jordan Staggs. Published by The Idea Boutique©. 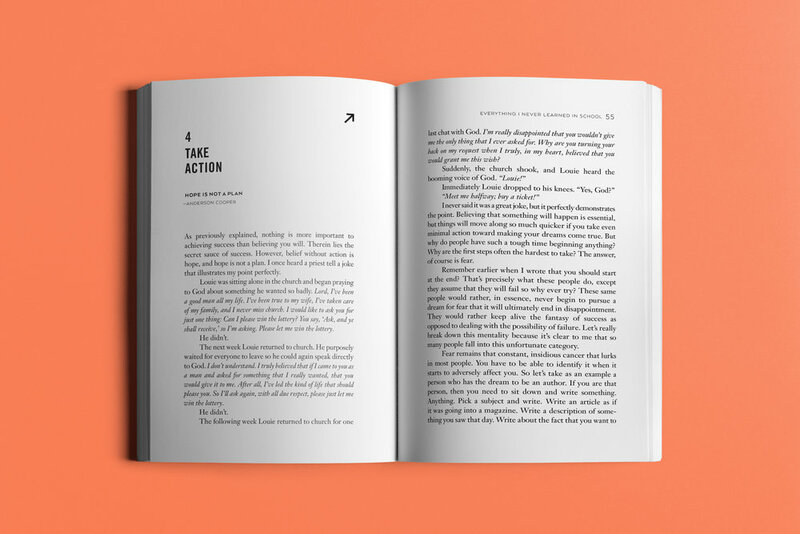 This project consisted of a complete redesign of author Darin Colucci's book Everything I Never Learned in School About How to Be Successful. The new title, Everything I Never Learned in School: A Guide to Success, is accompanied by a new cover design that appeals to a much wider audience. The arrow motif from the cover is carried over into the interior layout. The book is available at Barnes & Noble and Amazon. 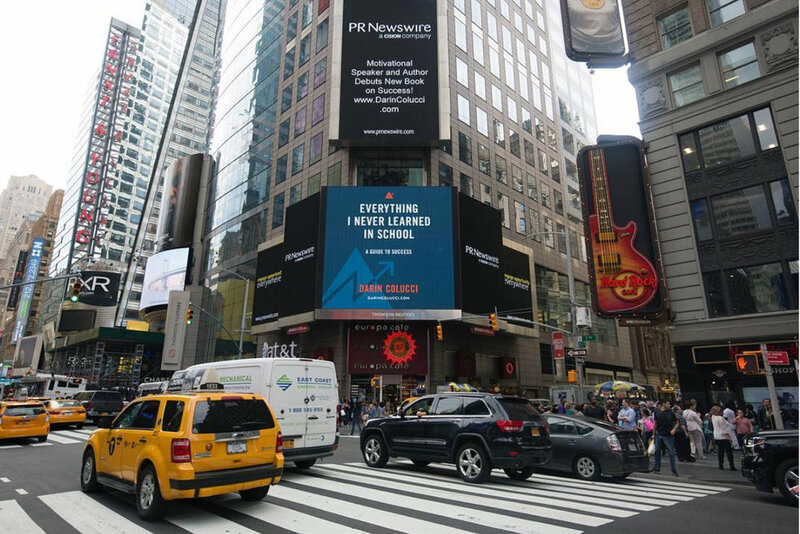 The book cover design was featured on the PR Newswire Digital Billboard in Times Square in April 2017.